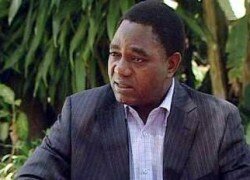 UPND president Hakainde Hichilema has described former Livingstone member of parliament Rev Howard Sikwela as a “fooolish man”, corrupt and greedy for causing a costly by-election. Mr Hakainde said this at a public political rally near Maramba Market when he was drumming up support for his party’s parliamentary candidate Regina Musokotwane. Mrs Musokotwane who is wife to late Zambia’s Prime Minister in the UNIP regime, is also former MP for Katombora Constituency of Kazungula district where she served for ten years ending 2011. 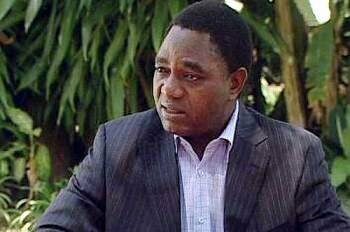 Mr Hakainde said his party will not let the people of Livingstone down and that is why they have brought a credible person to fill up the gap left by Rev Sikwela. “We are here again only few months after having elected a person we thought was with us yet we elected a foolish person Howard Sikwela. He is corrupt and greedy and he has let you down the people of Livingstone,” he said. And Mazabuka MP Garry Nkomba accused Rev Sikwela of causing the death of Western Province Minister Obvious Mwaliteta by causing the by-election, describing costly in monetary and human life. And Mr. Hakainde accused the PF as a political whose leaders lack wisdom saying all the allegations they heaped on the MMD and president Rupiah Banda of depriving people of their basic needs such as affordable mealie meal and fuel are now none existent. Rev Sikwela is a useful idiot of the highest order. I definitely wanted to post a quick message to be able to thank you for these magnificent ways you are giving out on this site. My time-consuming internet look up has at the end been paid with reputable points to write about with my friends and classmates. I ‘d claim that most of us visitors are truly endowed to exist in a perfect community with very many lovely individuals with valuable opinions. I feel really grateful to have come across your website and look forward to many more cool moments reading here. Thanks once more for everything.